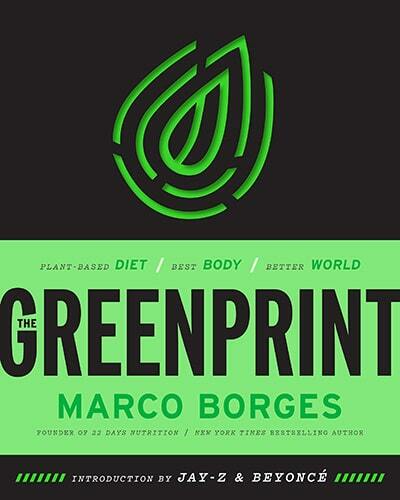 New York Times bestselling author and CEO of 22 Days Nutrition, Marco Borges introduces one of the most inclusive, practical, and revolutionary plant-based lifestyle plans – The Greenprint. By following its 22 proven useful guidelines, you will shift your mindset, improve your health, lose weight, and impact the planet for the better. Accessible and easy-to-follow, The Greenprint is a movement to embrace your absolute best and healthiest life. Through his more than two decades of experience working with clients, including some of the world’s biggest celebrities, and spearheading exercise and nutrition research, Borges developed the groundbreaking “22 Laws of Plants,” which he’s determined are the most important plant-based diet, exercise, and lifestyle secrets for losing weight, increasing energy, boosting metabolism, and reducing inflammation, not to mention helping minimize your carbon imprint to help the planet. The Greenprint outlines three simple, step-by-step plans to implement the 22 Laws into your life, depending on where you are on your journey. Whether you are ready for a gradual shift or excited to tackle them all full-on, in just weeks you will be on your way to a healthier, cleaner approach to eating that includes plenty of whole grains, bountiful veggies, legumes, nuts and more. You’ll also find meal plans, more than 60 delicious recipes, countless tips, and inspirational stories to help you along the way. Marco Borges is an exercise physiologist, founder of 22 Days Nutrition, New York Times bestselling author, and plant-based living advocate. Passionate about guiding people to develop healthier lifestyles, he has spent more than 20 years as a lifestyle coach and touring the world empowering others with tools for ultimate wellness. Author of The 22-Day Revolution, The 22-Day Revolution Cookbook, as well as Power Moves, he lives in Miami with his wife, their three sons, and daughter.